Stewed chicken or chicken stew needs no introduction these days. 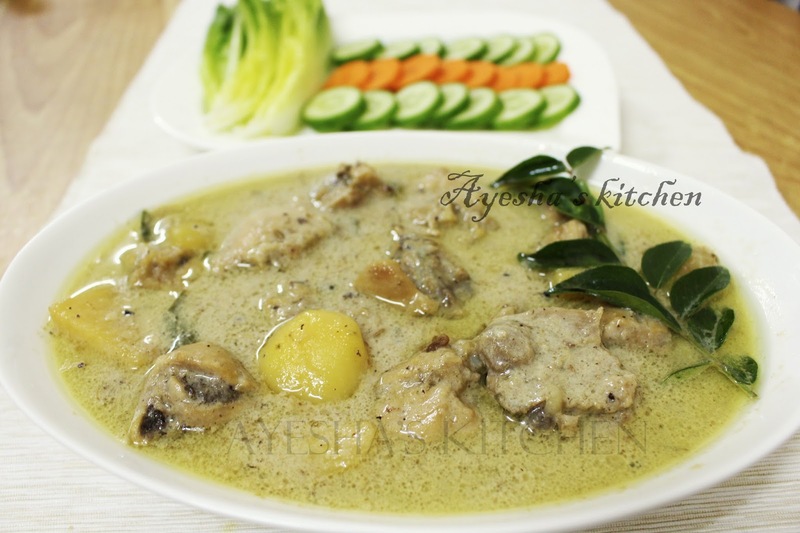 A delightful creamy chicken recipe which pairs best with breakfast chapati, Appam, puri is a very popular recipe. Some of the very popular stew chicken recipes are Mexican chicken stew, French chicken stew, Moroccan chicken stew like so. Here am sharing an Indian stewed chicken recipe. In India, especially in Kerala it is usually prepared as a side dish along with Appam . Still i can feel that nostalgic taste. My mom often make this special flavorful treat for weekend breakfast as it is my brother's favorite chicken dish. Chicken recipes are very famous around the world. Chicken, the meat which is very favorite to all age groups. We can present this meat in different forms and styles. That makes people to stick more on chicken recipes than any other meat recipes. This is an easy chicken stew recipe. 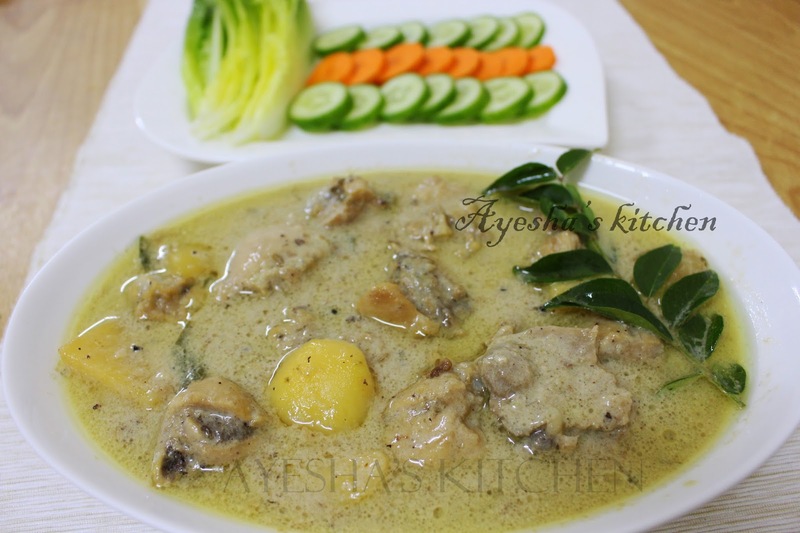 An yummy version of chicken and potato stew. If you prefer to add vegetables along with the potato, then you can make chicken and vegetable stew or chicken vegetable stew following the same recipe. So lets see how to make chicken stew recipe / simple chicken stew /easy stew chicken recipe. Clean and cut the chicken into small pieces and drain the excess water in chicken. Marinate the chicken with coriander powder, pepper powder, crushed ginger garlic ,vinegar, curd and salt. Cook it till half done without adding water. Keep it aside. Now heat oil in a pan and add the green chilies to it. Saute for a while and then add sliced onion. Saute till golden brown and then add chopped tomato. Cook for few minutes and add the half cooked chicken and cubed potatoes. Mix well and add garam masala powder along with required salt. Close the lid and let it cook till the chicken and potato is done. Now pour the thick coconut milk and stir well. When it starts to boil simmer the flame and cook for few minutes in a very low flame. Do not boil more after adding coconut milk. When done remove from flame. Now heat oil a separate pan and fry chopped shallots, curry leaves and pour it over the prepared stew . Mix well.